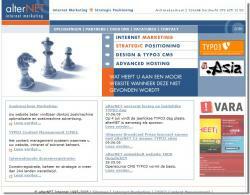 Description alterNET is the most experienced Dutch TYPO3 specialist. We are experienced in TYPO3 hosting, design, development, training and consultancy. Please contact us for a competitve price quote. 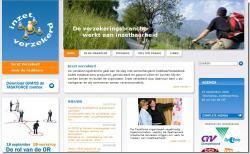 TYPO3 website developed for a large Dutch branche organisation within the insurance branche. Website fully developed in TYPO3. Large site built within TYPO3.